Thrive is now closed. Check back in Fall 2019 for round 2! THRIVE is a A six-week interview series designed to help develop your brand and grow your biz! Co-hosted by Desha Peacock of Sweet Spot Style and artist-designer Molly Hatch. In today's complex marketplace, creatives have many jobs. In addition to honing our skills as makers and designers we have to learn to be our own marketers, sales-people, web-designers, social media masters and so much more. THRIVE is an affordable six-week series of interviews with successful artists, agents, book editors, and others who have mastered the art of making money doing the creative work they love. This series is designed to help you develop your brand, build the skills you need to expand your creative business, learn the best tricks of the trade from industry experts and think beyond traditional methods of reaching your market. Do you feel ready to scale your business but aren’t sure what steps to take? Do you have a great product or service but need help with branding yourself/your business? Are you interested in licensing but don’t know where to start? 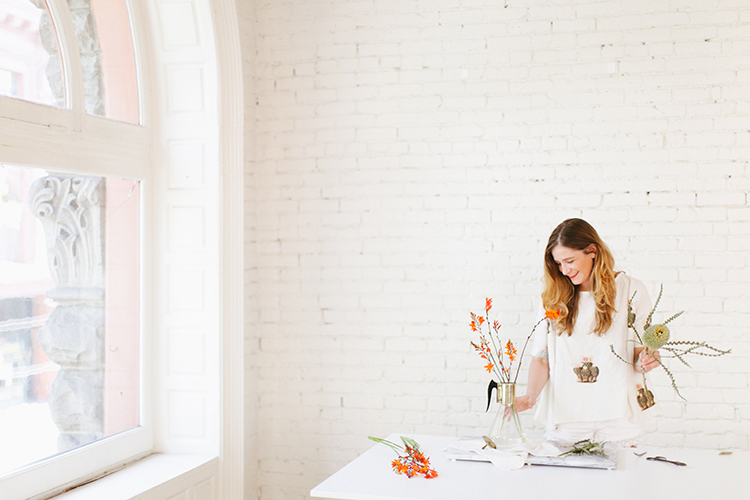 Have you ever wanted to collaborate with a big company like Anthropologie? Publish a book? Sell more of your work? Have you ever wished you could just sit down with an expert in your industry and learn from someone who has cracked the code? On Tuesday of each week we will send you a link to a video interview with a new guest covering a specific topic. You can stream the video interview or download it as an MP3 to listen to as audio only. Each week has a themed conversation around a topic that will help you think through and navigate ways to market your brand, sell your service or product, find new audiences through social media, learn how to collaborate with larger companies and get yourself published. Each Thursday Molly and Desha will post a video discussion unpacking and discussing what that week’s interview covered. As a member of the series, you will be encouraged to discuss the videos and the topics that they cover each week with the group of participants in the series online.You will be able to connect with other members of the series and have a community discussion about the topics that come up for you each week. Desha and Molly will be monitoring the group discussions and chime in too! Some of the most exciting learning happens in these discussion threads! By the end of the six weeks, you will have learned the importance of branding, how to clarify your brand identity, and ways to scale your creative business by expanding your marketplace. Learn about this week's guest editor and agent Kate Woodrow of Present Perfect Dept. Joanna Hawley is a Seattle-based blogger, stylist, digital influencer, wiener dog lover, and tiny-home hype girl. With a degree in Industrial Design and experience as a product designer and trend scout for companies like Nordstrom and Anthropologie, Joanna has always had an eye for beautiful things. Joanna has mastered the art pinning with over 4 MILLION Pinterest followers. We can’t wait to get the scoop on how she grew that following and how she monetizes it. Amira D. Rahim is a contemporary abstract expressionist painter whose work has been procured by collectors around the world, and most notably, by the Royal Family of Abu Dhabi. Rahim has been featured in EbonyMagazine, The Huffington Post, Design Mom, The National, Minted and Time Out Abu Dhabi. In addition to painting, Rahim runs an online community - Passion Color Joy - where she guides new and seasoned artists branding and establishing their art business online. Arianne is the head storyteller, idea hatcher, and yaysayer at Aeolidia. Arianne started making websites for friends in 1997, and never lost interest in building online homes for fascinating people. Having a team of experts with their thinking caps on for your business is a feeling like no other. Aeolidia can help transform your website into a powerful tool to help you sell online. Jennifer loves art and people! It makes sense that she went into this business. Jennifer Nelson Artists, Inc. represents ten terrifically talented artists who produce stunning illustrations for commercial use. Serving the surface design, publishing and home decor industries, they have a large inventory of existing artwork for licensing or buyout. It was while working at Inc. magazine where Susan fell in love with illustration. Inc. was buying a lot of terrific illustration at the time, and it was while there that Susan first commissioned work from top international illustrators, including several Lilla Rogers Studio artists. Susan then freelanced as art director for Body & Soul magazine and went on to work at Harvard Business Review as an Associate Art Director. Susan met Lilla Rogers in person in 2005, and she offered Susan the opportunity of a lifetime—representing talented artists! Growing the studio with Lilla and helping artists earn a living continues to be satisfying and rewarding. Not to mention a hellava lot of fun! KATE WOODROW, FOUNDER OF PRESENT PERFECT DEPT. Kate started Present Perfect in 2015 with the goal of advocating for artists in publishing, and has become an industry leader in selling nonfiction. She's always looking for visually arresting books that connect readers to their passions, especially: art + design, lifestyle, personal growth, self-care, work, social activism, nature, popular culture, and anything with an instructive or practical bent. Before becoming an agent, she was an editor at Chronicle Books, where her publishing experience spanned 10 years, during which time she worked on hundreds of books and gift products. Bringing that many projects from brainstorm to bookshelf gave her a keen sense of what makes a book commercially successful and how to be a professional collaborator. She has an open mind that appreciates wildly creative ideas, plus a realistic sense of what will fly in the marketplace. She also copyedited the lifestyle magazine Anthology for its 21-issue run and is passionate about art and design. Her first book was published last year with Abrams books. It is a creative guided journal that helps encourage people to find a bit of daily inspiration and develop a daily drawing habit. She has two more books on the way. Update: Thrive is now closed. Check back in Fall 2019!